Here's what I had done for Let's Scrap DT Call sketch and YES! I got in for another term! 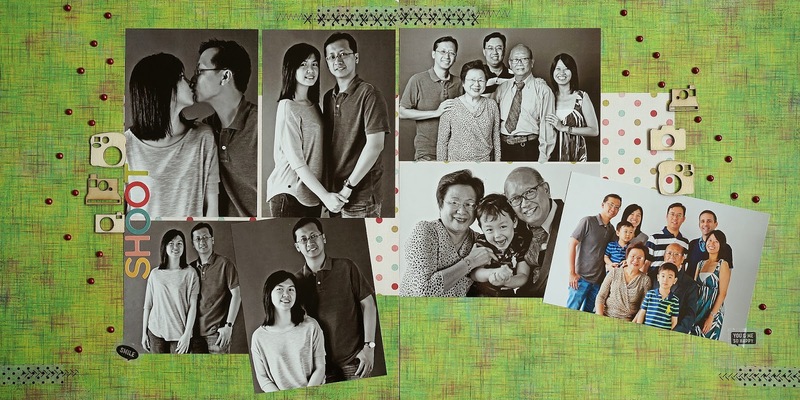 Anyway, these photos from 2012 photo shoot with my husband's family. It was some fun time for the kids as they had lots of time to explore the house which was the place where we had the photo shoot.And I totally love that Basic Grey paper, glad I bought 2 pieces! A gorgeous design with such cheerful photos. Also love how you let the photos speak for themselves. Congrats on another term.